WWF Greece launches an international campaign to halt oil and natural gas drilling in Greece & calls for international support and mobilisation. 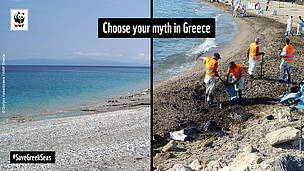 Situation: A paradise of majestic marine life, iconic habitats and top tourist destinations of unique natural beauty such as Crete, Zakynthos, Kefalonia and Corfu is in danger. A 60.000 km2 marine area, equal to twice the size of Belgium, has been conceded to multinational oil companies (Total, Repsol, Exxon and Edison alongside Greek companies Hel.Pe and Energean) for oil and gas exploration and drilling. WWF Greece has launched an international campaign to tackle this unprecedented environmental threat that can have severe and potentially irreversible impacts on the Greek iconic marine ecosystem, economy and local communities. We are calling upon Greece’s friends from around the world to show their solidarity and sign WWF’s online petition that aims to halt new oil drilling in Greece. 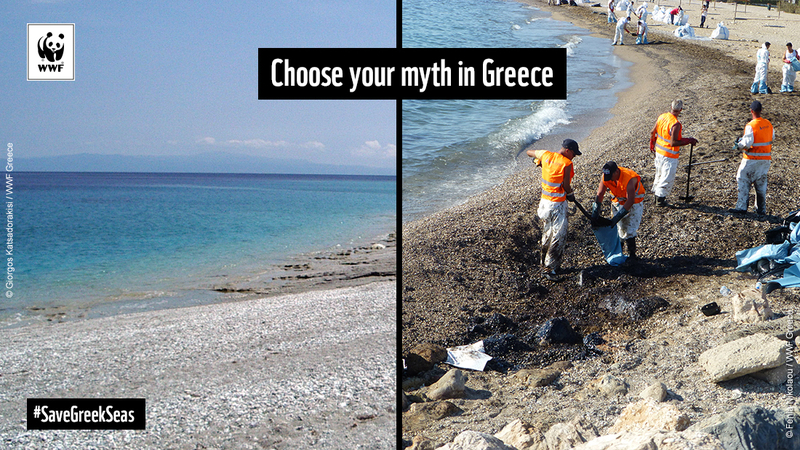 Since the Greek islands are among the most popular touristic destinations in the world, people from all over the world who sign the petition will help protect their own paradise. This is exactly the rationale behind the “Save Your Paradise” message.